Well heck. There are teachers and there are teachers. 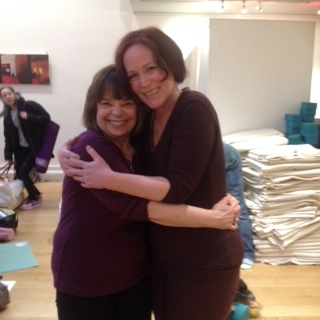 I’m just back from a 5 day training in Restorative Yoga with the brilliant Judith Lasater. What an inspiration. A real joy to learn from. How wonderful it was to be able to hug her. Real treasure. And I found gold.